* £10 First Bet Insurance: First losing first settled real money single bet £10+ at odds of Evs+ (Multiples each 2/5+) qualifies. Credited within 24 hours of bet settling, 14 days to use. Stake not included in returns. 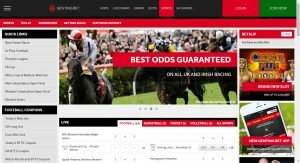 Open an account at GentingBet.com and take advantage of our £10 First Bet Insurance. If your first settled bet of £/€10 or more (at odds of evens (2.0) or greater) doesn’t win – they have you covered with a £/€10 free bet. Significant terms and conditions: New customers only. A qualifying bet is a losing first settled real money single bet of at least £/€10 or more (at odds of evens (2.0) or greater (or a multiple where each selection is at odds of 2/5 (1.4) or more. Only losing win single part of an E/W bet will qualify. free bet credited within 24 hours of qualifying bet settling and must be used within 14 days. free bet stake not included in returns.